“The young people will win,” is Parkland activist David Hogg’s tagline. He tweets it, starts speeches with it, and clearly believes it. Audiences don’t always catch on right away, but Hogg is, above all else, persistent. The emergent Resistance remaking American politics and life is, to an extraordinary degree, led by America’s youth. Donald Trump’s call for a return to an imagined past holds absolutely no resonance for them, perhaps because they know a little bit of history. But it’s not just the kids at the front of the protests; young people have taken leadership positions in every aspect of American politics. 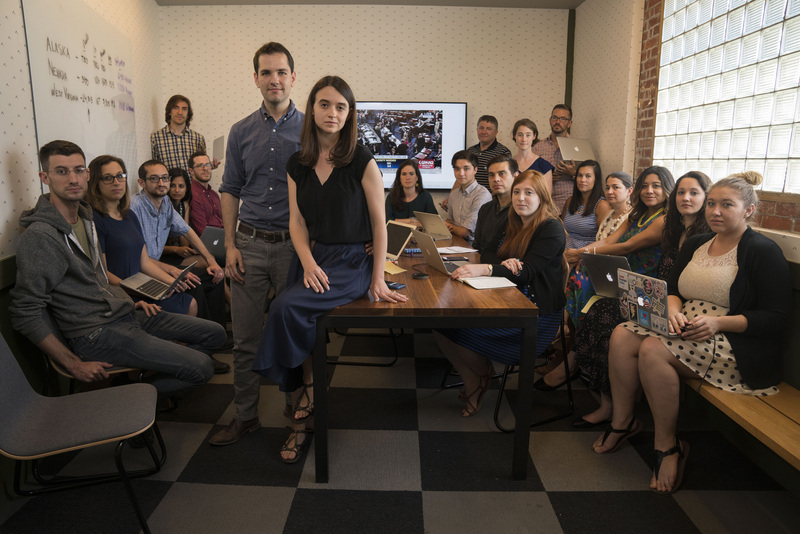 Leah Greenberg and Ezra Levin, former Congressional staffers in their early thirties, founded Indivisible, a call that launched hundreds of local groups across America that were fully engaged–and critical–in last week’s election. The groups share a commitment to political engagement, but each develops a distinct focus based on local issues and leaders. Alexandria Ocasio-Cortez, twenty-nine years old, won a seat in the House of Representatives, representing parts of Queens and the Bronx. She will be the youngest woman to take a seat in the House. She defeated a seemingly secure incumbent of her own party, advancing a vision of democratic socialism and promising to better represent a very diverse district. Abby Finkenauer, just a few months older, will take her seat in Congress just after turning 30. She’ll represent Iowa’s first Congressional district, working intensively in Iowa politics for a decade. She proudly identifies as a first generation college student, listing the student loans she’s still paying off. Duca is a star on cable tv, aggressive and good-humored, rattling smarmy and condescending Tucker Carlson in a segment that went viral almost immediately. Since 2015, twenty-one young people, now ages 13-22, have been fighting a legal battle to force the government to act on climate change. In Juliana v. US, they claim that the government’s negligence is threatening their fundamental Constitutional rights. Earlier this month, the Supreme Court ruled against the Justice Department’s call to dismiss the case, sending it back to the Ninth Circuit for further argument. 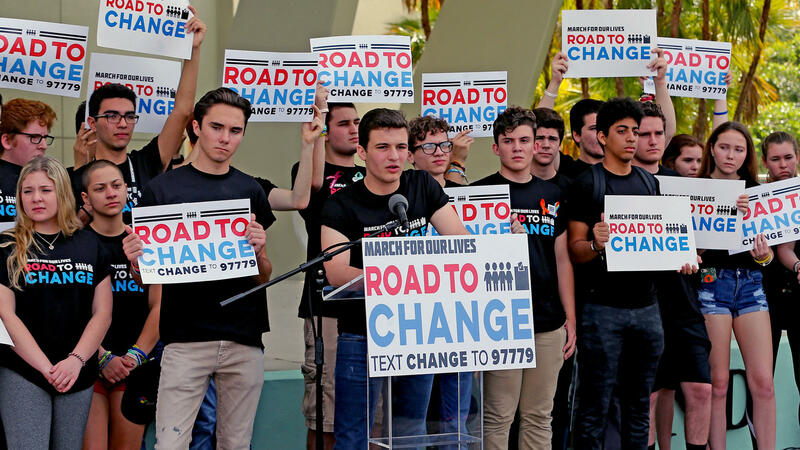 And, of course, there are the Parkland kids, who responded to the horrific mass shooting at their high school by organizing a campaign that started with gun control. They quickly expanded their vision to include police violence, and are now prepared to talk about college access and climate change, and, more generally, the reasonable concerns of America’s youth. They’ve been demonstrating and lobbying, and organizing others to do the same. The kids from Marjory Stoneman Douglas High School have been quick to share their platform with a more diverse collection of young people, listening to other issues, and embracing a broad democratic politics. All of these young people–and many many more–emphasize that they are in this struggle for the long haul. They are irreverent, but not cynical, consistently demonstrating a strong faith in America’s people and its future. This entry was posted in Uncategorized and tagged Abby Finkenauer, Alexandria Ocasio-Cortez, Bronx, David Hogg, Donald Trump, education, Ezra Levin, Indivisible, Iowa, Juliana v. US, Lauren Duca, Leah Greenberg, Parkland, Queens, students, Teen Vogue, youth. Bookmark the permalink.